+ there is a shorter (3 month) PDC version also. 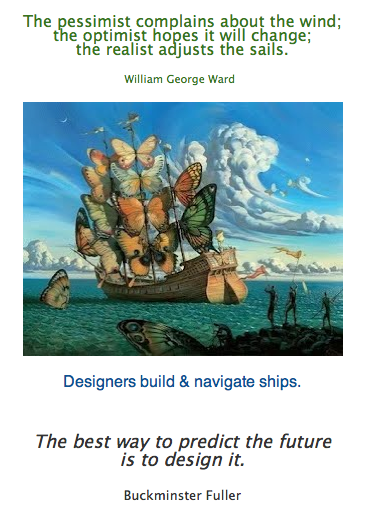 The Butterfly Ship will come pick you up when you enroll on one of our courses. Enroll in the Integral Permaculture courses to get personal mentoring & help to live this curriculum, with the support of other people around the whole world. They are concerned about the state of affairs in our world right now. It is true, one has to have strong cojones and ovarios to withstand much of what passes for "good" in our culture today. Abject disregard of what the soul finds most precious and irreplaceable and the corruption of principled ideals have become, in some large societal arenas, "the new normal," the grotesquerie of the week. It is hard to say which one of the current egregious matters has rocked people's worlds and beliefs more. Ours is a time of almost daily jaw-dropping astonishment and often righteous rage over the latest degradations of what matters most to civilized, visionary people. ...You are right in your assessments. Yet ... I urge you, ask you, gentle you, to please not spend your spirit dry by bewailing these difficult times. Especially do not lose hope. Most particularly because, the fact is — we were made for these times. For years, we have been learning, practicing, been in training for and just waiting to meet on this exact plain of engagement. I cannot tell you often enough that we are definitely the leaders we have been waiting for, and that we have been raised since childhood for this time precisely. ...I grew up on the Great Lakes and recognize a seaworthy vessel when I see one. Regarding awakened souls, there have never been more able crafts in the waters than there are right now across the world. And they are fully provisioned and able to signal one another as never before in the history of humankind. Despite your stints of doubt, your frustrations in arighting all that needs change right now, or even feeling you have lost the map entirely, you are not without resource, you are not alone. In your deepest bones, you have always known this is so. Even though your veneers may shiver from every wave in this stormy roil, I assure you that the long timbers composing your prow and rudder come from a greater forest. That long-grained lumber is known to withstand storms, to hold together, to hold its own, and to advance, regardless. ...We have been in training for a dark time such as this, since the day we assented to come to Earth. For many decades, worldwide, souls just like us have been felled and left for dead in so many ways over and over — brought down by naiveté, by lack of love, by suddenly realizing one deadly thing or another, by not realizing something else soon enough, by being ambushed and assaulted by various cultural and personal shocks in the extreme. We have a history of being gutted, and yet remember this especially ... we have also, of necessity, perfected the knack of resurrection. Over and over again we have been the living proof that that which has been exiled, lost, or foundered — can be restored to life again. This is as true and sturdy a prognosis for the destroyed worlds around us as it was for our own once mortally wounded selves. ...Though we are not invulnerable, our risibility supports us to laugh in the face of cynics who say "fat chance," and "management before mercy," and other evidences of complete absence of soul sense. This, and our having been to Hell and back on at least one momentous occasion, makes us seasoned vessels for certain. Even if you do not feel that you are, you are. Even if your puny little ego wants to contest the enormity of your soul, that smaller self can never for long subordinate the larger Self. In matters of death and rebirth, you have surpassed the benchmarks many times. Believe the evidence of any one of your past testings and trials. Here it is: Are you still standing? The answer is, Yes! (And no adverbs like "barely" are allowed here). If you are still standing, ragged flags or no, you are able. Thus, you have passed the bar. And even raised it. ...In any dark time, there is a tendency to veer toward fainting over how much is wrong or un-mended in the world. Do not focus on that. Do not make yourself ill with overwhelm. There is a tendency too to fall into being weakened by perseverating on what is outside your reach, by what cannot yet be. That is spending the wind without raising the sails. Didn't you say you were a believer? Didn't you say you pledged to listen to a voice greater? Didn't you ask for grace? Don't you remember that to be in grace means to submit to the voice greater? You have all the resource you need to ride any wave, to surface from any trough. ...In the language of aviators and sailors, ours is to sail forward now, all balls out. Understand the paradox: If you study the physics of a waterspout, you will see that the outer vortex whirls far more quickly than the inner one. To calm the storm means to quiet the outer layer, to cause it, by whatever countervailing means, to swirl much less, to more evenly match the velocity of the inner, far less volatile core — till whatever has been lifted into such a vicious funnel falls back to Earth, lays down, is peaceable again. What is needed for dramatic change is an accumulation of acts — adding, adding to, adding more, continuing. We know that it does not take "everyone on Earth" to bring justice and peace, but only a small, determined group who will not give up during the first, second, or hundredth gale. ...One of the most calming and powerful actions you can do to intervene in a stormy world is to stand up and show your soul. Soul on deck shines like gold in dark times. The light of the soul throws sparks, can send up flares, builds signal fires ... causes proper matters to catch fire. To display the lantern of soul in shadowy times like these — to be fierce and to show mercy toward others, both — are acts of immense bravery and greatest necessity. ...There will always be times in the midst of "success right around the corner, but as yet still unseen" when you feel discouraged. I will not entertain it. When a great ship is in harbor and moored, it is safe, there can be no doubt. But ... that is not what great ships are built for. with harmony among all species. with any transition design you want to implement. 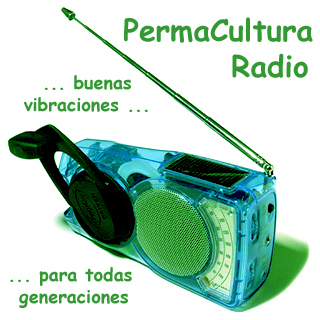 Subpages (4): Co-Creators * Integral PC Teachers Radio / PodCasts What is Permaculture?